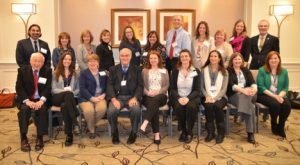 The Association of Psychologist in Academic Health Centers (APAHC) held its 8th National Conference at Detroit’s Westin Book Cadillac hotel on March 9-11th. It was the highest attended conference in the association’s history. Conference keynote speakers included APA leadership-Katherine Nordal, Ph.D., W. Douglas Tynan, Ph.D., ABPP, Jessica Henderson, Ph.D., ABPP. Dr. Nordal, Executive Director of the APA Practice Directorate, gave an address on advocacy and the accessibility of psychology via healthcare systems. Dr. Tynan, Director of Integrated Health Care at APA and Acting Director of the APA Center for Psychology and Health, spoke about integrated mental and behavioral health services in healthcare settings. 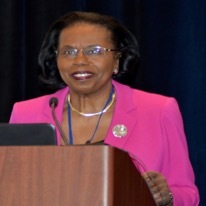 Dr. Jessica Henderson, incoming APA President, delivered a talk titled: The Inclusion of Cultural Diversity in Healthcare Instruction and Training: Engaging Educational Strategies (pictured here). In addition to the informative and dynamic presentations, the conference provided opportunities for career development through two carefully crafted boot camp experiences–one for Early Career- run by Dr. Foran-Tuller, Dr. Leila Islam, and Dr. Laura Daniels and new this year, one for Mid-Career run by Dr. D’Angelo, Dr. Laura Shaffer, and Dr. Mariella Self (pictured here). 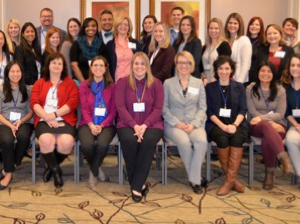 These unique offerings provided participants with mentorship, education, and feedback in the service of professional identity development. 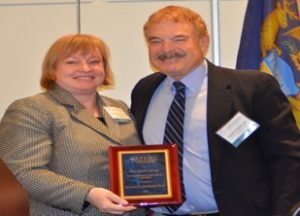 Given APAHC’s focus on strengthening its community of psychologists, a portion of the conference was devoted to honoring psychologists who make a difference in the field. The association gave out six awards which highlight achievements in research, teaching, contributions for psychology in academic health centers, early career, mid-career, and a student award. 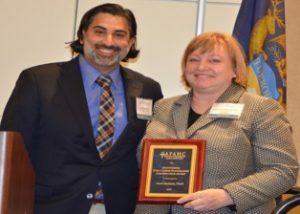 The APAHC Awardees included-Dr. Amit Shahane awarded the Outstanding Early Career Psychologist (pictured here); Dr. Kenneth Freedland received the Bud Orgel Award for Distinguished Achievements in Research (pictured here); Dr. Barbara Cubic received the Ivan Mensh Award for Distinguished Achievements in Teaching; Dr. Susan McDaniel received the Joseph D. Matarazzo Award for Distinguished Contributions for Psychology in Academic Health Centers; Dr. Michael Zvolensky received the Outstanding Mid-Career Psychologist; and Colleen Stiles-Shields received the Outstanding Student Award.